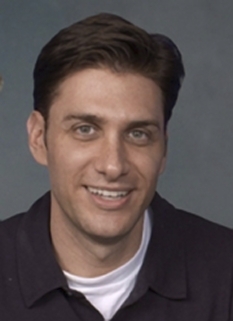 Mike Greenberg has served as co-host along with Mike Golic of ESPN's popular daily drivetime show, "Mike & Mike In The Morning" since 1999. Greenberg joined ESPN in September 1996 as an anchor for ESPNEWS. In December 2007 Mike hosted ABC’s “Duel,” a week-long game show of which a New York Daily News preview wrote: “Mike is the perfect host.” Additionally, his book “Why My Wife Thinks I’m an Idiot” spent five weeks on the N.Y. Times Best Sellers list and was nominated for a Quill Award. 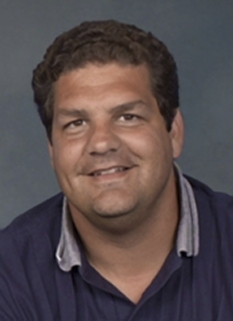 In 2007, Mike expanded his ESPN responsibilities to include television play-by-play for Arena Football League games when he and Golic (analyst) were named the top commentator team for ESPN’s return to the AFL. In December 2007, “Mike & Mike” served as special commentators on ESPN’s and ABC’s live coverage of the May 31 2007 Scripps National Spelling Bee Finals from Washington, D.C., and called the Arizona Cardinals-San Francisco 49ers Monday Night Football game on September 10 at 10:15 p.m. The radio show co-hosts have appeared in other ESPN media outlets, including a primetime special (ESPN’s Mike & Mike at Night); a primetime drama (TILT); a primetime series (League Night); and online as star characters in ESPN.com’s “Off Mikes” Emmy Award-wining cartoon. He has also been part of several of ESPN Radio's major feats along with co-host Golic, including the staging of the network’s largest-ever promotion – “Mike & Mike’s Marriage Madness” -- in which 500 couples applied for the chance to be married on the show. Mike is also frequently an anchor for the 6 p.m. SportsCenter, ESPN’s flagship news and information program. He and Golic have also been guests on Late Night with David Letterman. 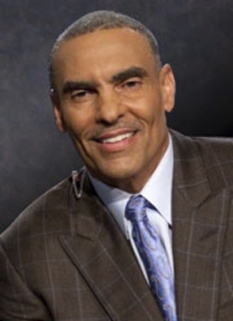 Prior to joining ESPN he worked as a sports anchor/reporter for the regional cable news network CLTV in Chicago, Ill. While there, he covered all local sports teams for the 24-hour cable news network, anchored sportscasts and hosted SportsPage, a one-hour Sunday night program featuring live guests and viewer calls. In addition, Mike had worked for Chicago’s WSCR-Radio (1992-96) serving as a reporter (covering events including the World Series, Super Bowl, etc.) and talk show host. From 1994-95, Mike worked as a reporter for SportsChannel Chicago. He also worked as a syndicated sports columnist for the California-based Copley News Service, writing a weekly column (1993-95). Previously Greenberg worked for Chicago’s WMAQ-Radio as sports anchor/reporter from 1989-92. DISCLAIMER: PFP Sports Talent Agency does not claim to represent itself as the exclusive agent for Mike Greenberg. PFP Sports Talent Agency is a booking agency that represents organizations seeking to hire pro athletes and sports personalities such as Mike Greenberg for speaking engagements, personal appearances, product endorsements and corporate entertainment. Fees on this website are estimates and are intended only as a guideline. Exact fees are determined by a number of factors, including the location of event, the talent’s schedule, requested duties and supply and demand. PFP Sports Talent Agency makes no guarantees to the accuracy of information found on this website and does not warrant that any information or representations contained on this website will be accurate or free from errors. We are often asked how can I find out who is Mike Greenberg's agent? To find Mike Greenberg appearance fees and booking agent details, you can contact the agent, representative or manager through PFP Sports Talent Agency for speaking fee costs and availability. PFP Sports Talent Agency can help your company choose the ideal sports personality for your next marketing campaign. To hire Mike Greenberg for an appearance, speaking event or endorsement, contact Mike Greenberg's booking agent for more information.